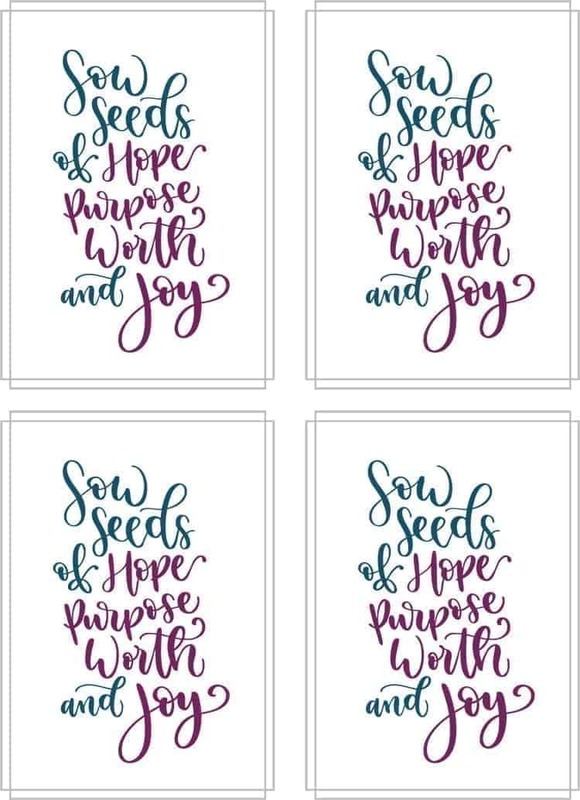 Sharing Life, Discovering Hope Notecards are the perfect way to put #PenToPaper. Keep in touch with loved ones, let someone know you’re praying for them or invite a friend or neighbor to catch up over tea. Notecards are 5.5″x4″, blank inside, horizontal fold with envelopes. By designer and Ministry Partner, Allie Lofy of Purejoyink.